The island of Sri Lanka has always been a popular destination for aliens, extraterrestrials, gods, devas, dark angels, sky dwellers, demons, deities – whichever way you describe them. Their chronicles in traditions, folklore, prehistoric cave drawings, archaeological evidence and ancient travellers’ records support that there have been strange beings living in this island from time immemorial. There were and still are mountains, hills, strange and unexplained stone buildings and plants with mysterious powers that are beyond human understanding even in the 21st Century. Interestingly, 200 million years ago, Sri Lanka was geologically linked to India, Madagascar, Australia and Antarctica in a land mass known as Gondwana. This is a possible explanation for the many language similarities indigenous Veddahs share with Australian aboriginals. According to geography experts, Sri Lanka broke off due to rising sea levels into a land that became known as Lanka Dupa (Island of Lanka). According to the Ramayana epic, this took place because of the misdeeds of Ravana. Great civilizations have sprung up and disappeared around the world throughout the ages. Egyptians, Mayans and Aztecs built great civilizations but after reaching a heady height, disappeared mysteriously. But in Sri Lanka, a blip in the Indian Ocean, direct descendants of the men and women who built the great Sigirya Rock Fortress and irrigation schemes have survived and passed on their knowledge through generations that still exist in small pockets around the country. While ancient Egyptians mummified their dead, the Sinhalese learned ways to put people into a deep slumber. The last example of Sri Lankan mummy-making can be seen in the Shrine of St. Xavier in Goa. The mummy on display is allegedly the body of Thotagamuwe Sri Rahula Thero, which was taken by the Portuguese who ruled parts of Sri Lanka during the colonial era of the island. 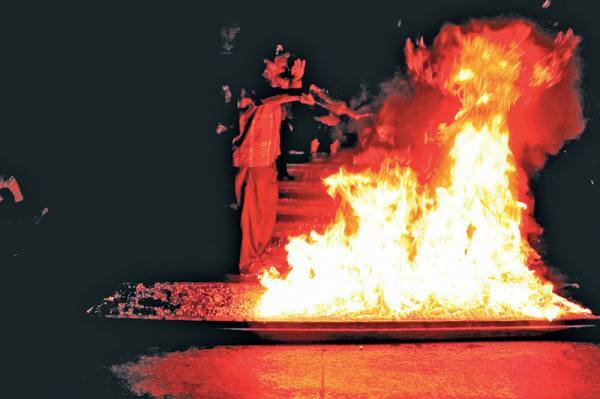 Whether it is fire eating at the Kandy Perahera or pouring boiling hot water over oneself at the Kataragama Festival, the powers of the island people at times seem so unbelievable, that non-believers say they are just clever tricks, and yet, when they touch the water it burns their hands. While the Japanese, using ninja assassins, developed sophisticated methods of killing people, the Sinhalese developed cyborgs and killer machines (pilli). Western science discovered anesthesia only in the 20th century, but King Buddhadasa, the great sage of the historic city of Anuradhapura, operated on a cobra. The surgical instruments used by the king can be found in the Anuradhapura Historic Museum. While many nations boast of pressure point techniques that can kill humans, ancient Sinhala armies stopped rampaging elephants with their bare hands using own finger point techniques and today, villagers will shove sharp instruments through their tongues showing no sign of pain at all. 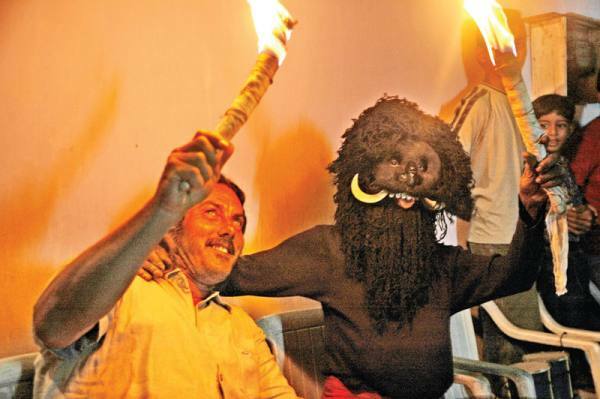 While some Western scientists ponder whether aliens exist, the concept of alien visitations is familiar to Sri Lankans. While nanotechnology is considered the next big thing in finding cures to illnesses, there are medical practitioners who heal patients using their touch and plants from forbidden forest areas that are still heavily protected and out of bounds for tourists. 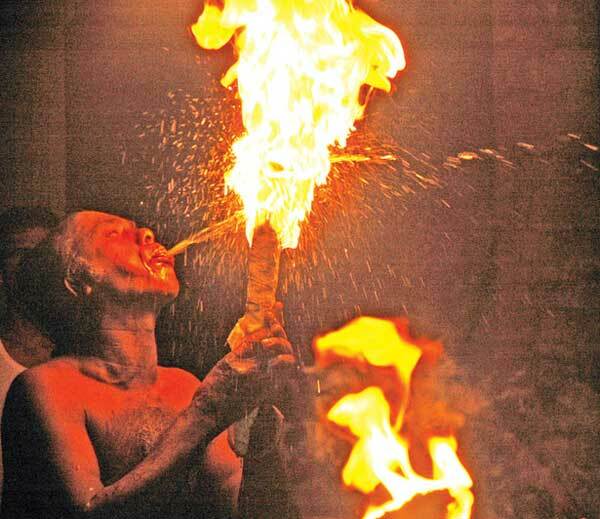 Many of these techniques survive today but are hidden and protected by old families in Embilipitiya, Matara, Dumbara and Kandy, who are very secretive about these skills. Learning of these families and their techniques to cure diseases like rabies, cancer and psychological disorders, in the 1990s, the Ministry of Indigenous Medicine tried to collect these ancient Sinhalese medicinal recipes in order to create a database. They failed as the village people, holders of these ancient powers, would have rather died than passed on this knowledge that is kept by only those who have grasped Sri Lankan complexity, which is hidden under a very thin layer of ‘westernization’. Western and ancient Eastern cultures have fundamental differences. 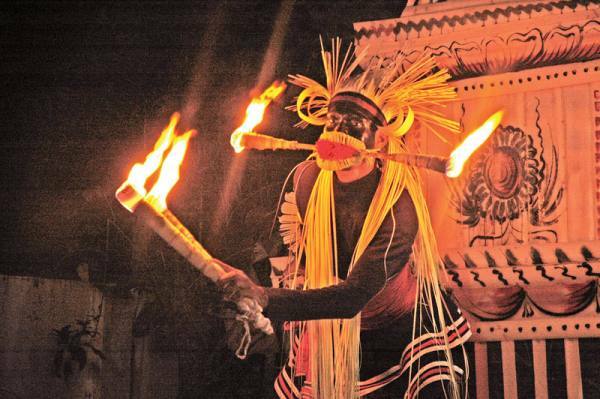 The most reliable way of uncovering the hidden secrets of the past is through archaeology and the handful of descendants who still exist and keep alive the secrets of Sri Lanka’s amazing ancient civilization.